Rachel offers a discount of 25% on their first / introductory lesson! 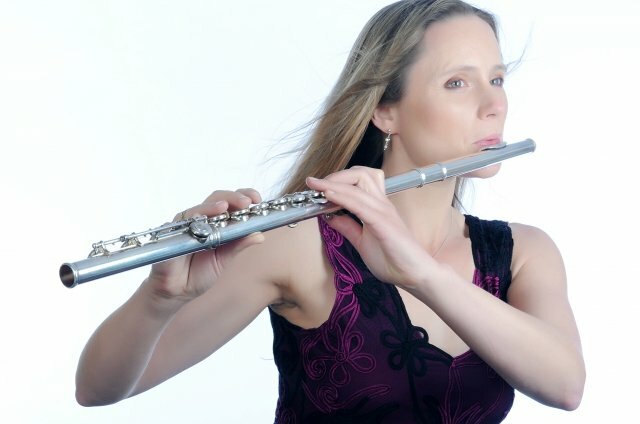 I studied at the Royal Northern College of Music and play the flute professionally combining orchestral, chamber music and freelance work with teaching privately in my studio in Twickenham. In 2013 I obtained a Doctor of Musical Arts degree in performance. Beginners to post conservatoire and professional, all ages from children to retired adults! I have over 15 years teaching experience in schools and privately, also Trinity Junior College of Music. I encourage pupils to work towards exams with either Trinity or ABRSM, and also teach people who don't want to take exams and play for the sheer love of making music! I really enjoy teaching and coaching. I like to encompass all aspects of technique into the learning process, incorporating tone work, scales and technical exercises, studies, pieces and duets to make learning an enjoyable and fun experience. I also cover Music Theory for pupils wishing to obtain Grade 5 Theory. I offer a 25% discount on the first lesson which means you will save over the fee to get my details! RachelFrom Elizabeth (5/5): Rachel is a really positive and encouraging teacher. We are very lucky to have found her. Thanks! Reply from: Rachel: Thank you and it is a pleasure to teach your daughter Emily. RachelFrom Peter (5/5): It is a privilege to be taught by Rachel: an experienced professional who creates a calm atmosphere and makes it okay to make mistakes. My technique and sight reading has improved in three lessons and after I complete my agreed 5 weeks cycle; I hope to be able to book more in the new year. RachelFrom Geoff (5/5): I've been playing flute for over forty years, and wouldn't have thought much improvement was possible. Not so; Rachel has enabled me to reach a level of performance that I didn't expect, and with great attention to detail has also helped me with all the fundamental elements of my technique: tone, articulation, breathing, phrasing. Lessons are always enjoyable.